A deck with a view. 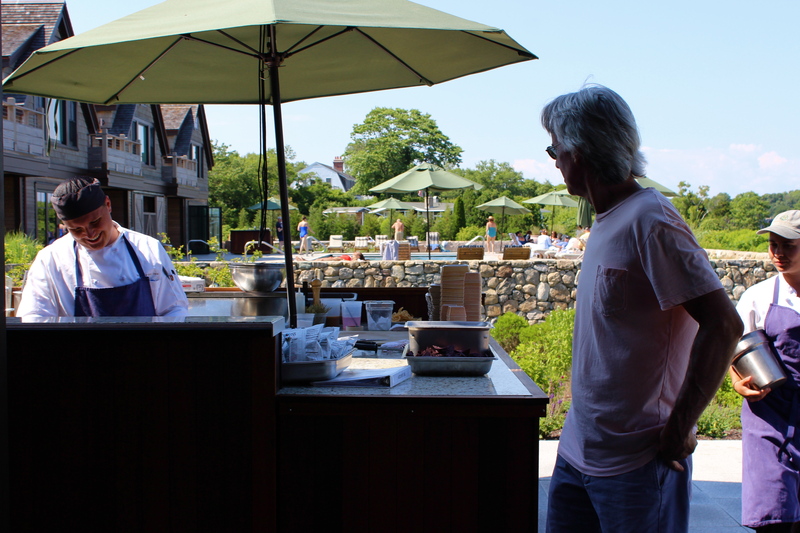 Renovating and redefining the Weekapaug Inn was a labor of love for Watch Hill resident Chuck Royce. 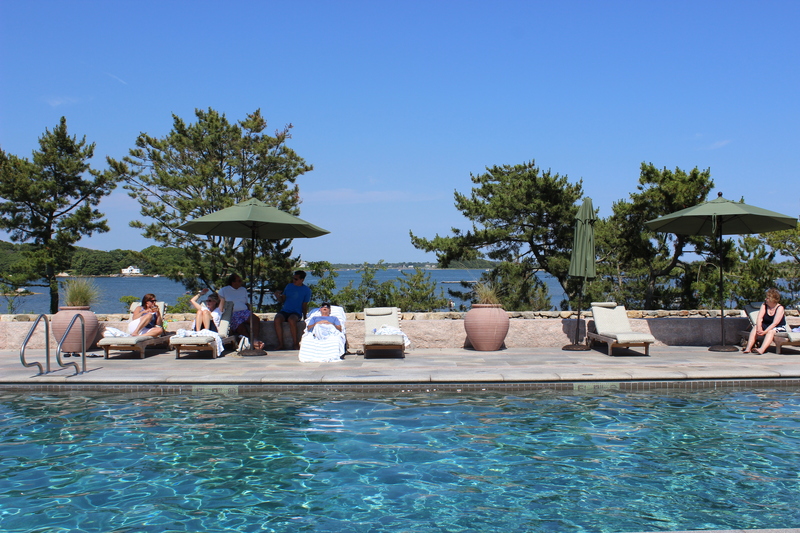 First opened in 1899, the Inn was a fixture on the New England social calendar as a popular summer destination for swimming, sporting, and socializing. Royce and his team valued the Inn’s place on the National Register of Historic Places, as well as its century long history and heritage. They took an iconic family hotel that was fading away and re-delivered the concept in luxury. 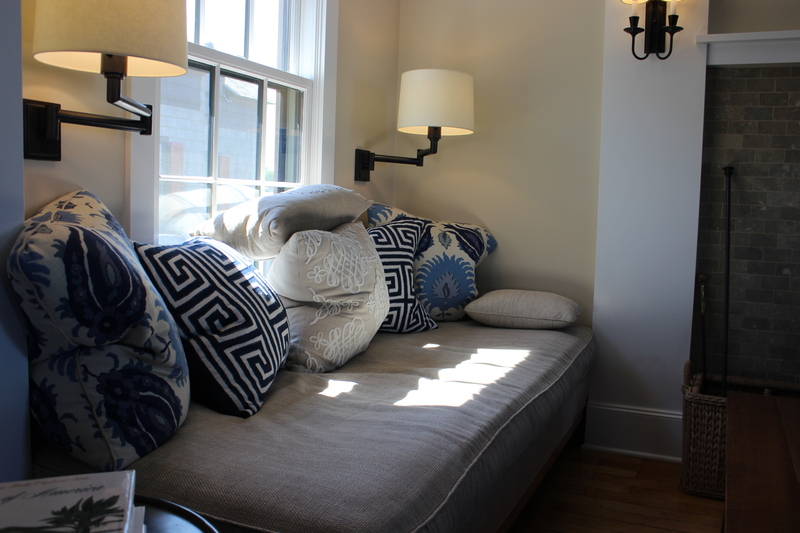 The decor is modern yet relaxed, beachy, and very elegant in its own way. 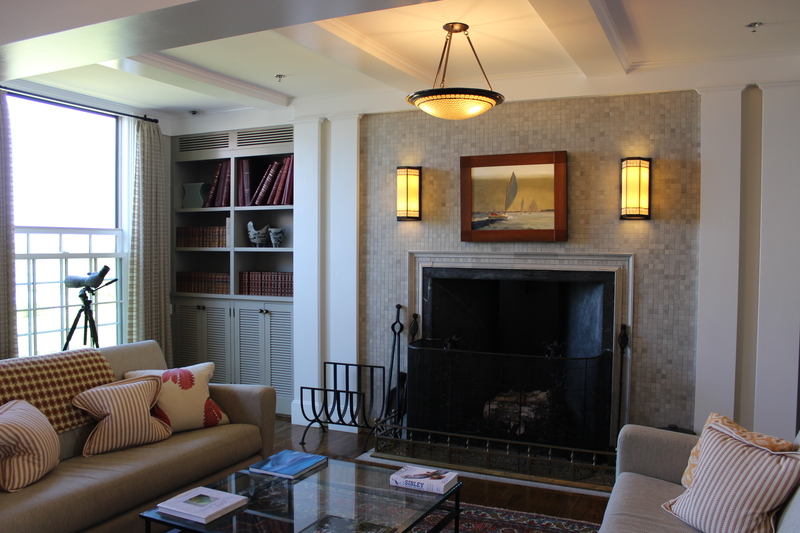 Common rooms are meant to feel as low-key and comfortable as one’s own home. 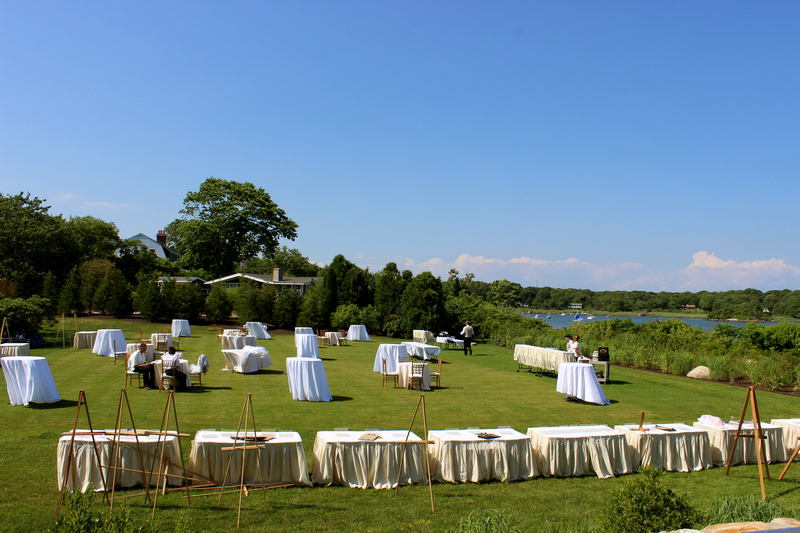 Guests approaching the front entrance might easily assume they have been transported; the forest-greens, light brown trim and a marriage between nature, class, and luxuriousness could very well be found in Maine, Colorado, or British Columbia. The living room at the Weekapaug feels like home. 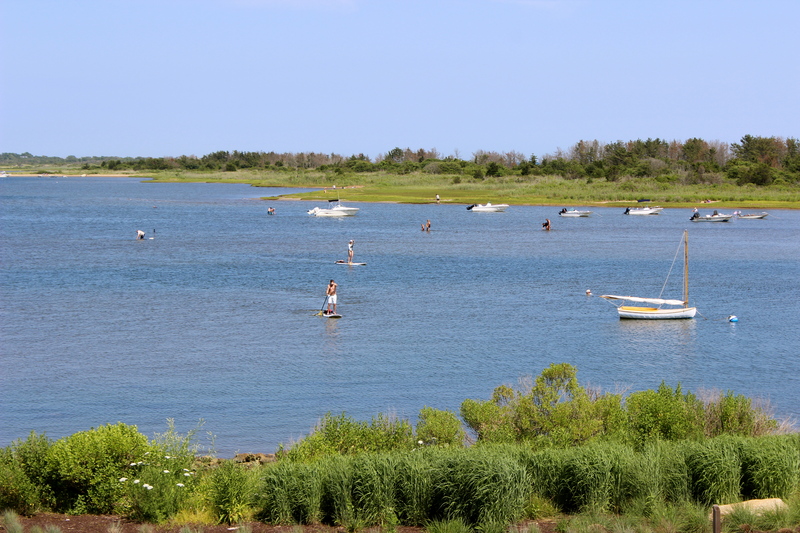 The pond at the edge of the property is the perfect spot for paddle boarding and sailing. 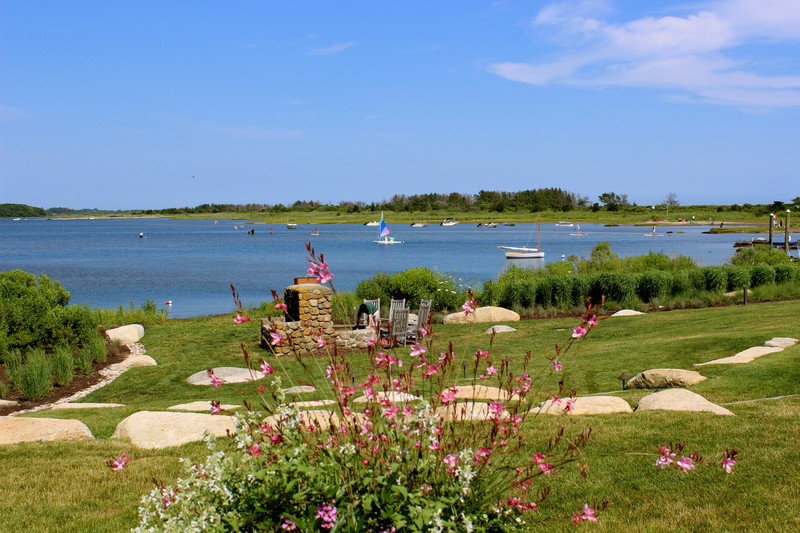 The inn abuts a tranquil salt pond, where guests can safely partake in water sports of all kinds, such as paddleboarding, kayaking, and even sailing. The private beach is a seven minute walk down the road, offering guests two miles of white sand. 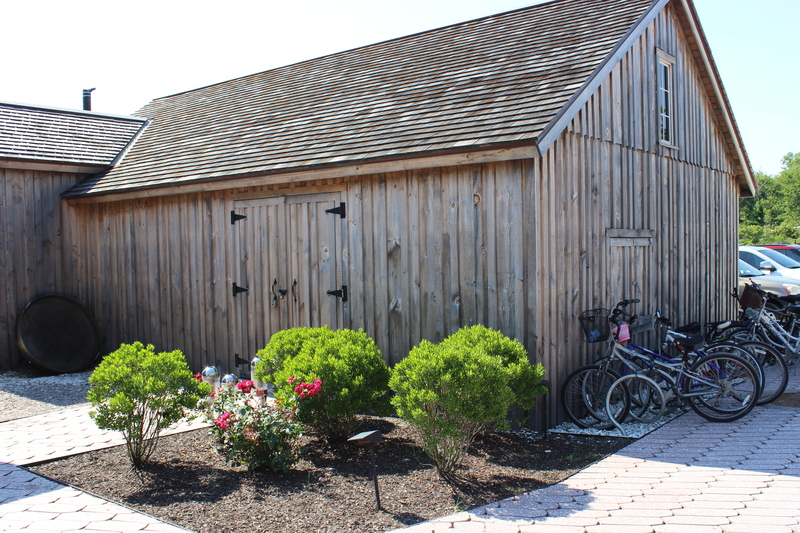 Beyond water sports, the Inn offers complimentary bike usage, shuffleboard, bocce, and a fire-pit for smores possibilities. 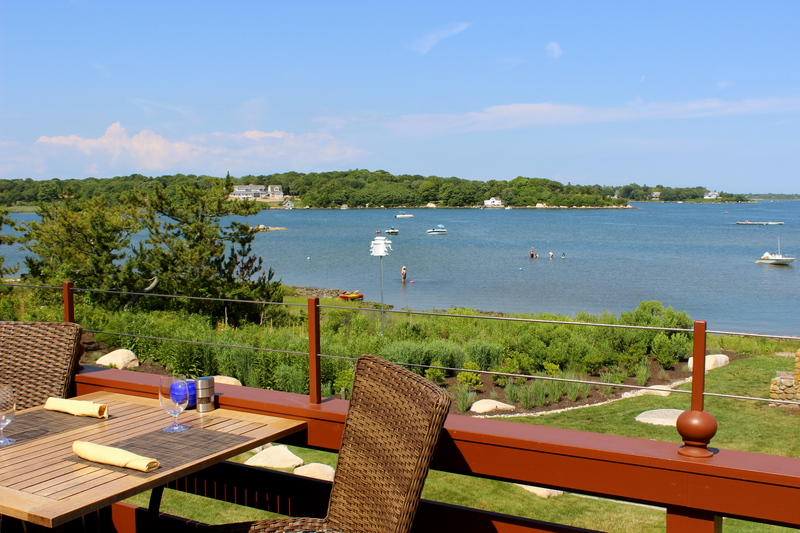 The beautiful saline pool is adjacent to an outdoor grill with views of sailboats and paddle-boarders. 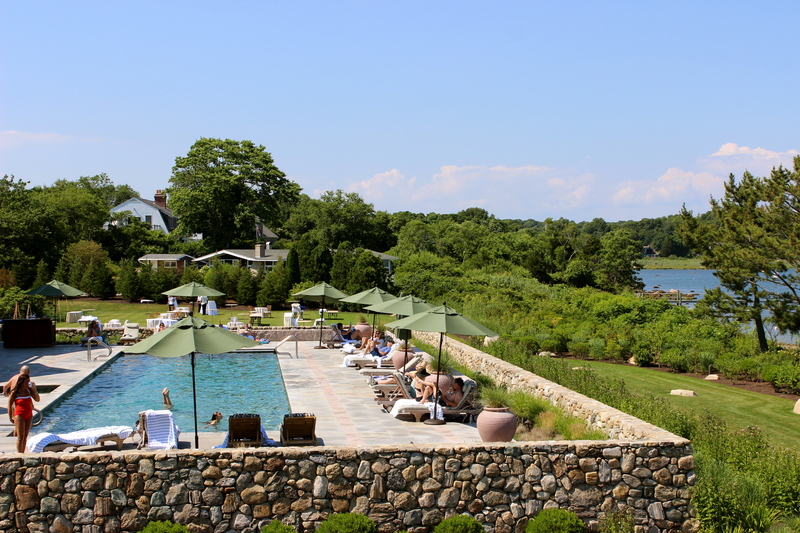 Green umbrellas blend in with the trees, and when looking out, the pool water melds into Quonochontaug Pond. 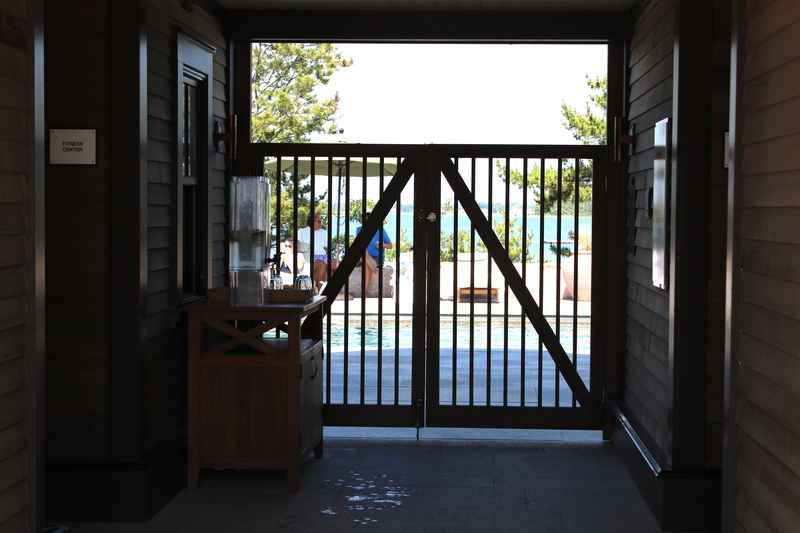 My favorite structure is the fitness center which doubles as the entrance to the pool. Guests walk through tall, wood gates in a muted grey tone. 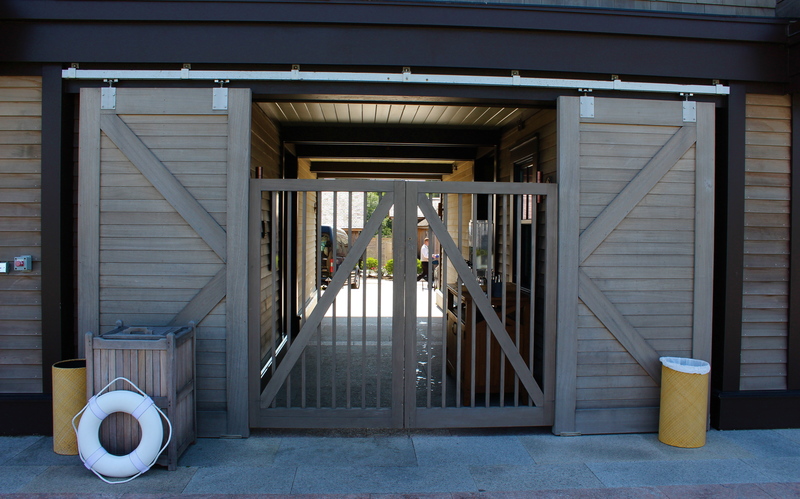 The structure has certain barn elements to its design, including massive barn doors on the inner side. 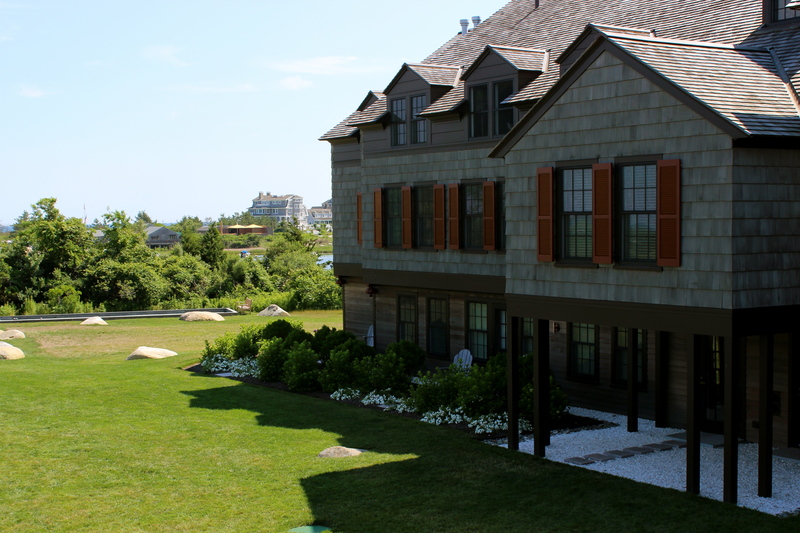 Guests can rent the suites with private decks on the second floor for more space and privacy from the main building. 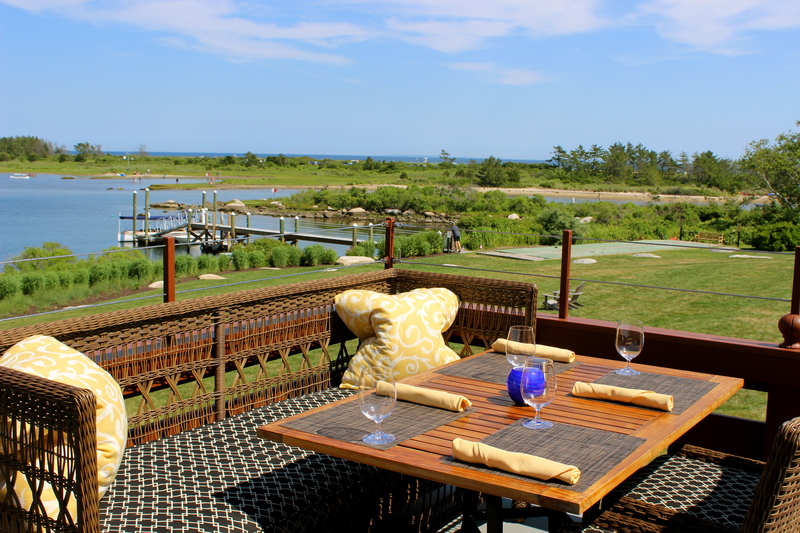 Outdoor seating on the deck. 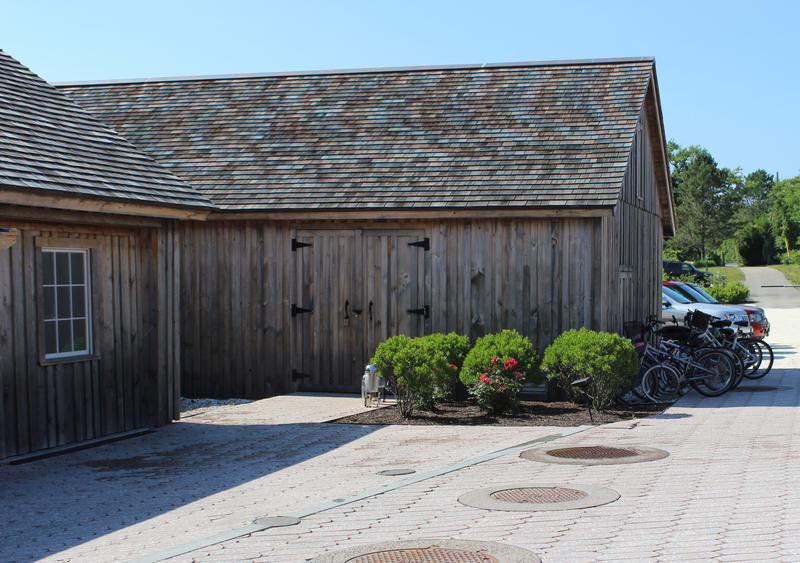 Just down the stone path from the fitness center and yoga room lay my dream herb garden with a handsome fence and proper protective wiring lest any non-human New Englanders take an interest. 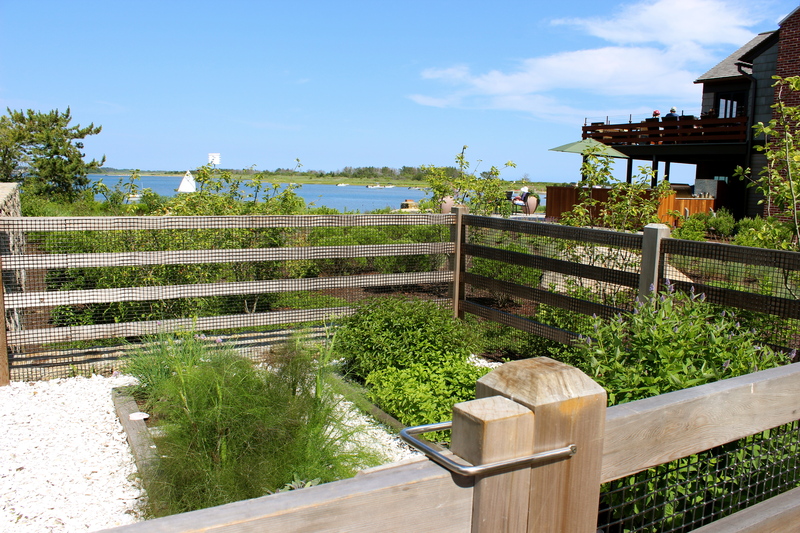 The Restaurant relies on the garden for many of their dishes, as evidenced by culinary team members ducking in for a few snips of basil and dill. Inside, the color tones are a menage of neutrals, the furniture not too fussy, the architectural details sturdy and simple. 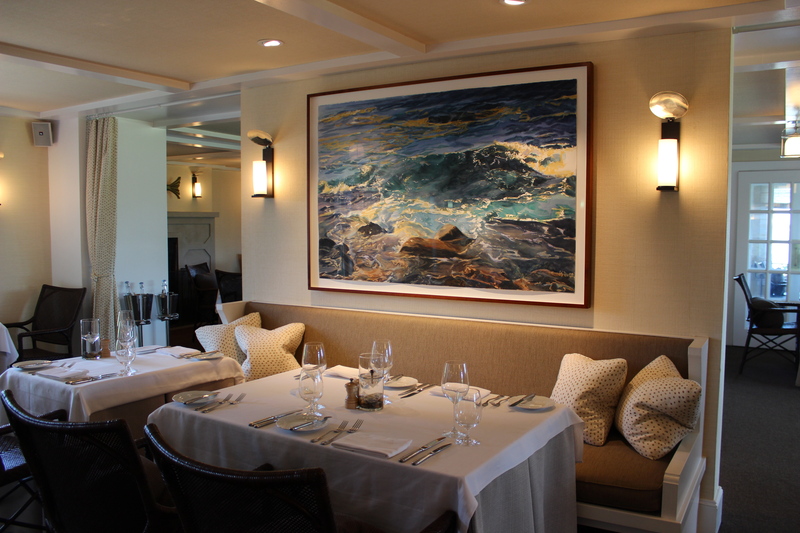 Framed photos of the Inn seen through lenses of the 20th century are scattered throughout, as well as paintings and murals in colors of the sea. 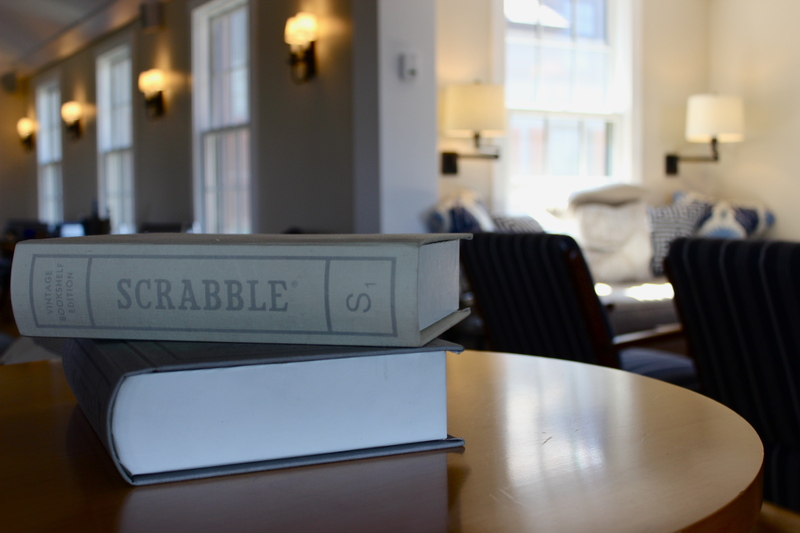 Board games are set-up for rainy days, the screened-in porch is a cozy respite if you brought a good book, and the deck overlooking the saltwater pond is always open for cocktails. 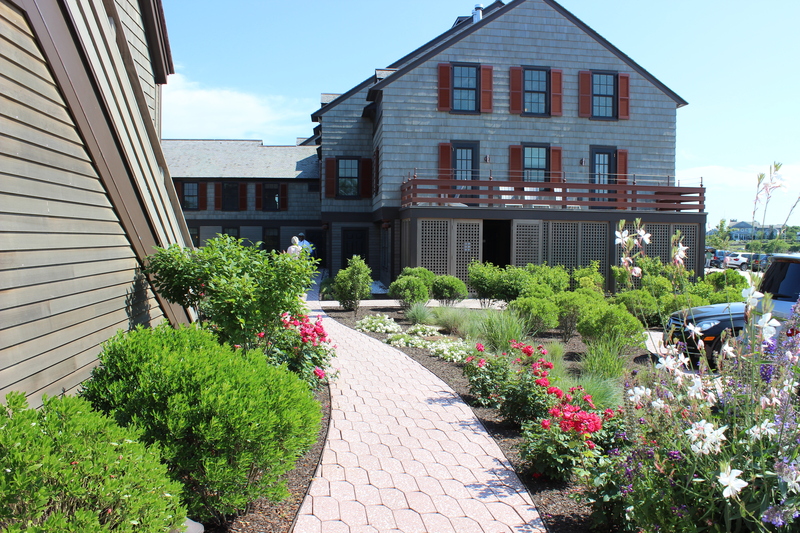 The Inn is a throwback to the shingled seaside resorts of a century ago. It lends a feeling of modesty, serenity, and an overall low-key atmosphere. Staff members are evidently well-trained for a quiet, luxury property. 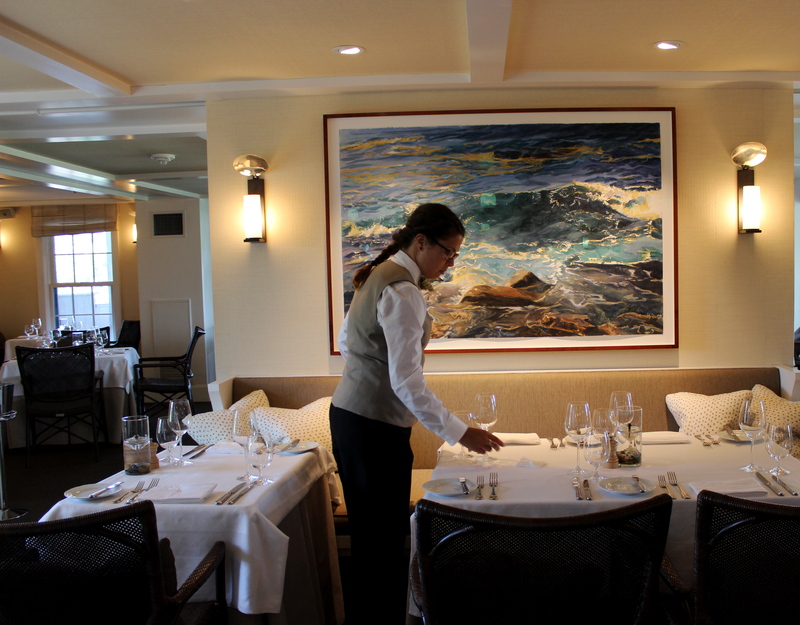 The team is similar in tone, attentiveness, and service to that of The Ocean House, Mr. Royce’s other property down the road. 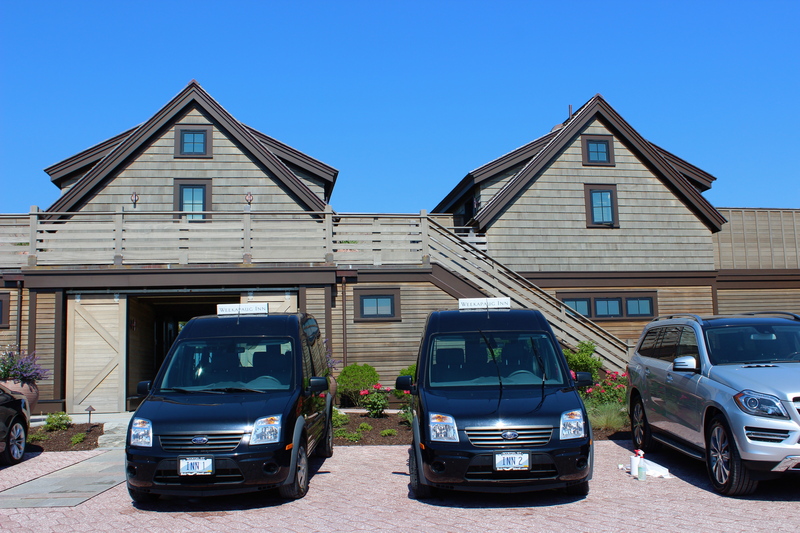 The Weekapaug Inn would be an ideal place for a seaside wedding, a family reunion, or simply a long weekend away from the noise and grittiness of the city. 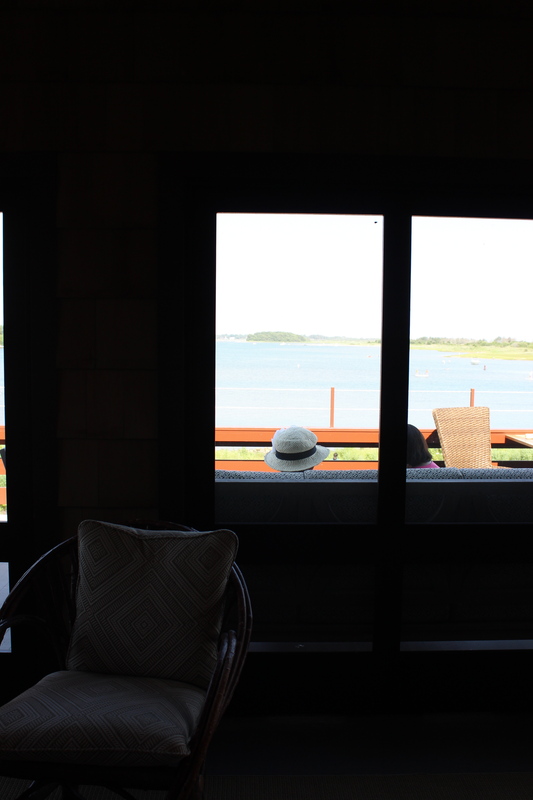 From inside the sun porch. The entrance to the pool and fitness area. Taken from inside the pool gates. Setting up for a stunning event. 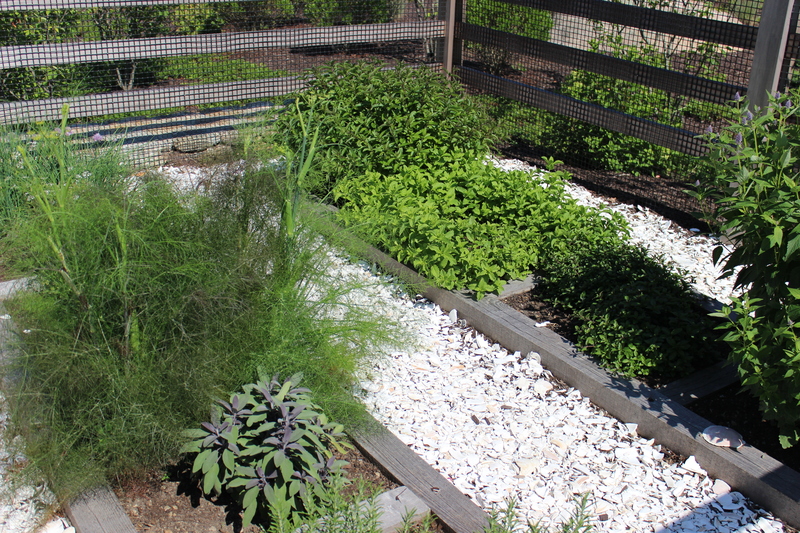 My dream herb garden, complete with proper fencing. A beautifully done barn structure. 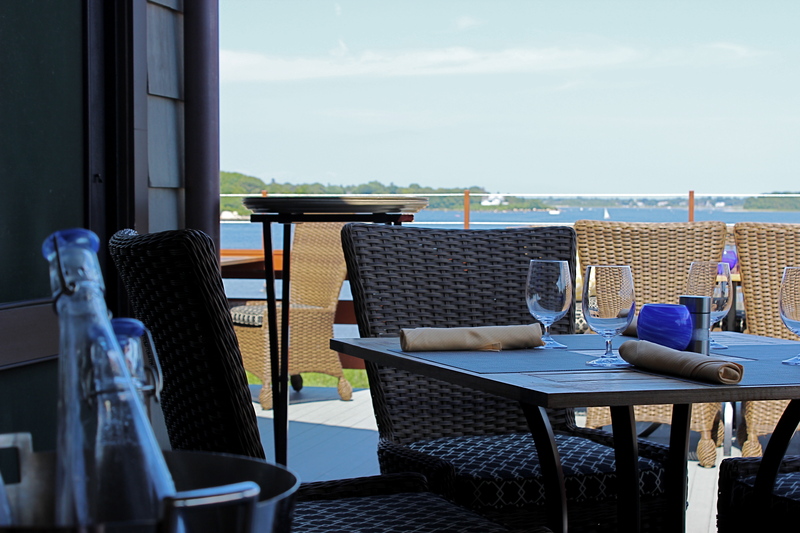 The Weekapaug Inn is located two and a half hours from New York City.